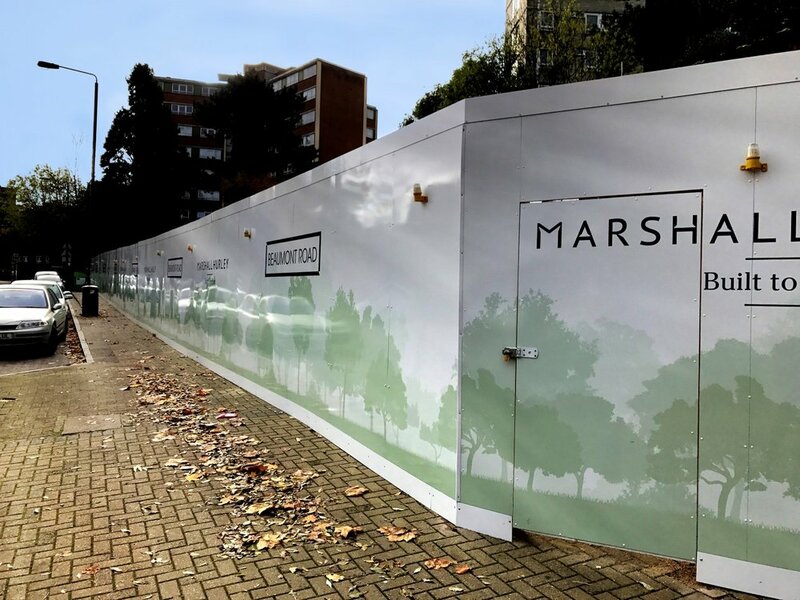 We were recently commissioned by award winning property developers Marshall Hurley to produce a stunning road-side hoarding in South West London. MJ took lead on the project from conception, design and production right through to delivery and installation. 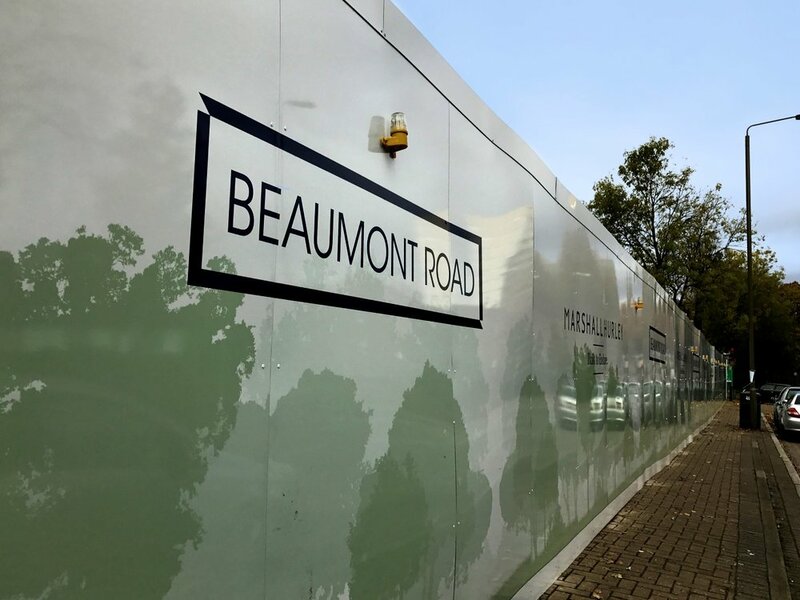 The sixty panel printed hoarding was installed along Beaumont Road earlier this month with our in-house design team creating the design to suit the leafy surroundings between Southfields and Putney Bridge station. The 6 commercial unit promenade was purchased by Marshall Hurley to make way for a new development comprising 3 commercial units with flats above. Marshall Hurley will remain the freeholder and will lease the commercial units back to Wandsworth council. With 20 years’ experience we are always looking to team up with new developers to bridge the gap between construction, design and print. Take a look at some of our other recent hoarding projects.